Meet my the newest member of my extended family, my cousin's daughter. She has the thickest, darkest hair and I wanted to take her home for the day and snuggle her. She is beautiful. My Mom made this head band from our Grandma's stuff, who recently passed on. Oh my goodness!!! 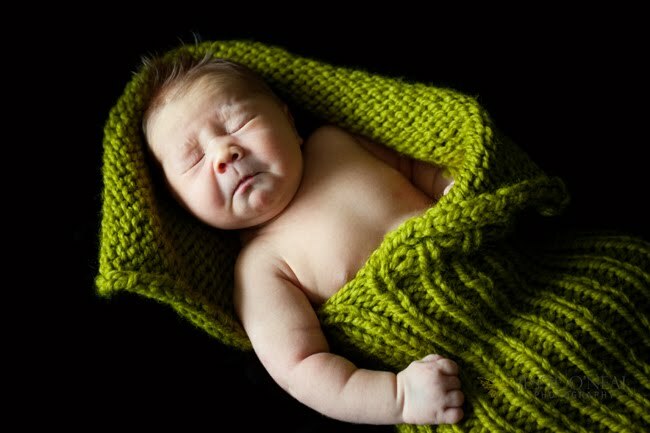 If that picture does not make anyone want to have a baby I do not know what will!!! LOVE IT!!! 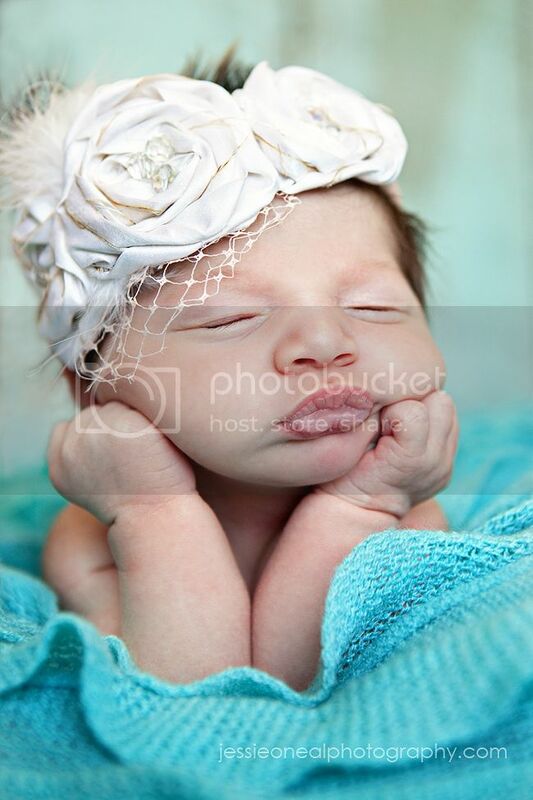 That is the sweetest newborn picture I have ever seen! I am a little partial...cause she is mine, but OH MY GOSH!! so CUTE!! I love it!! She is beautiful!! To cute! and nice work on the headband-i'm getting ready to make some of those for the big wedding...i might need your mom's help if i get stuck! So precious. Love her lips. So Cute! !